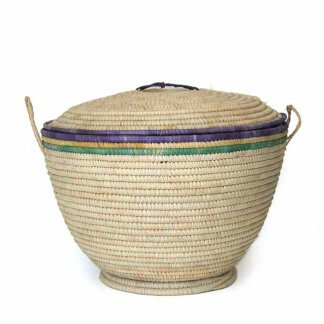 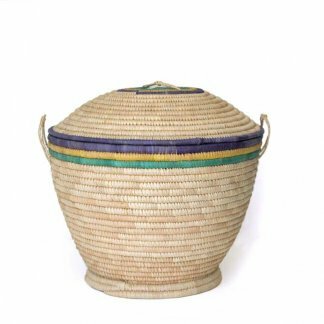 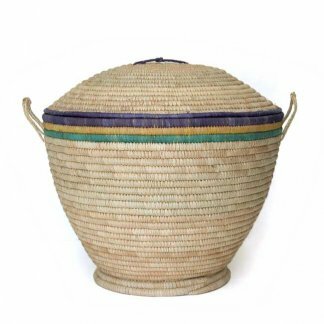 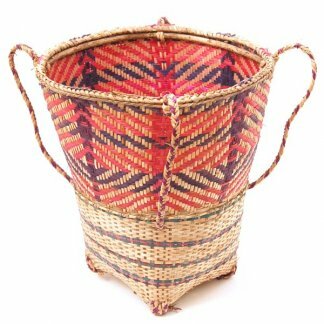 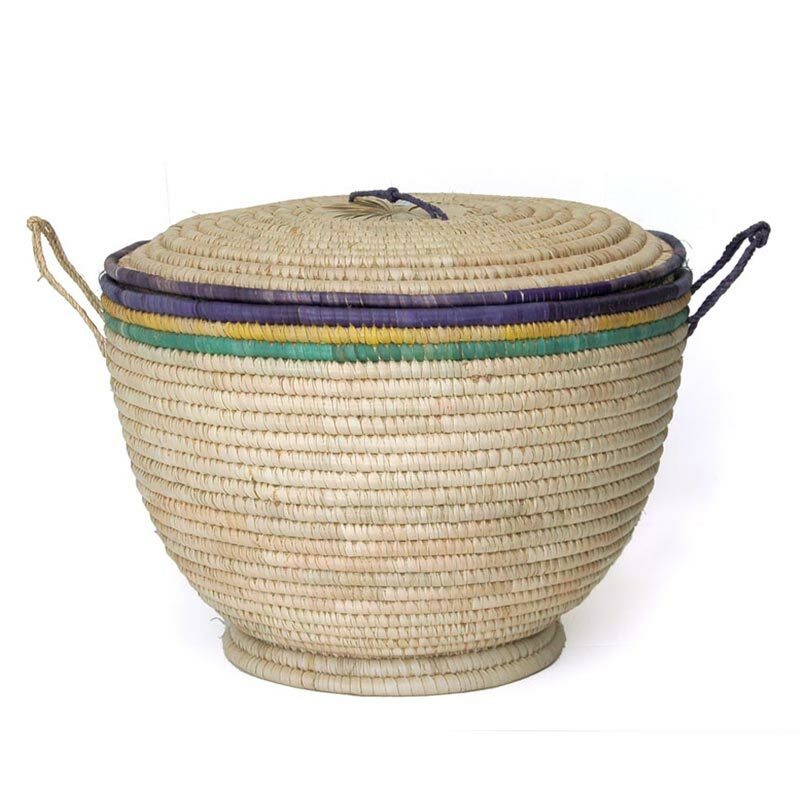 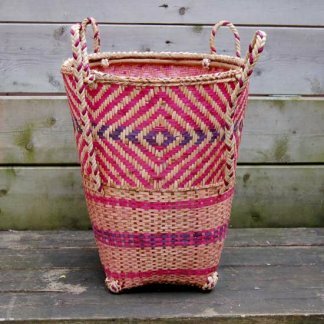 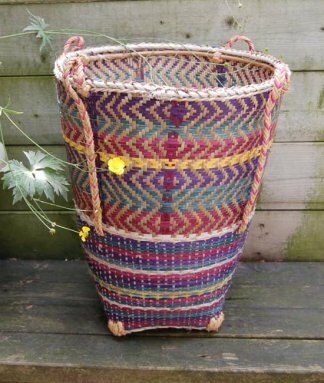 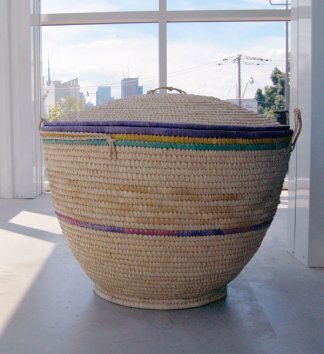 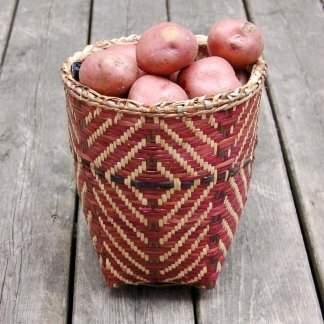 African basket made of natural fibers, sturdy, lidded and ideal as toy storage basket. 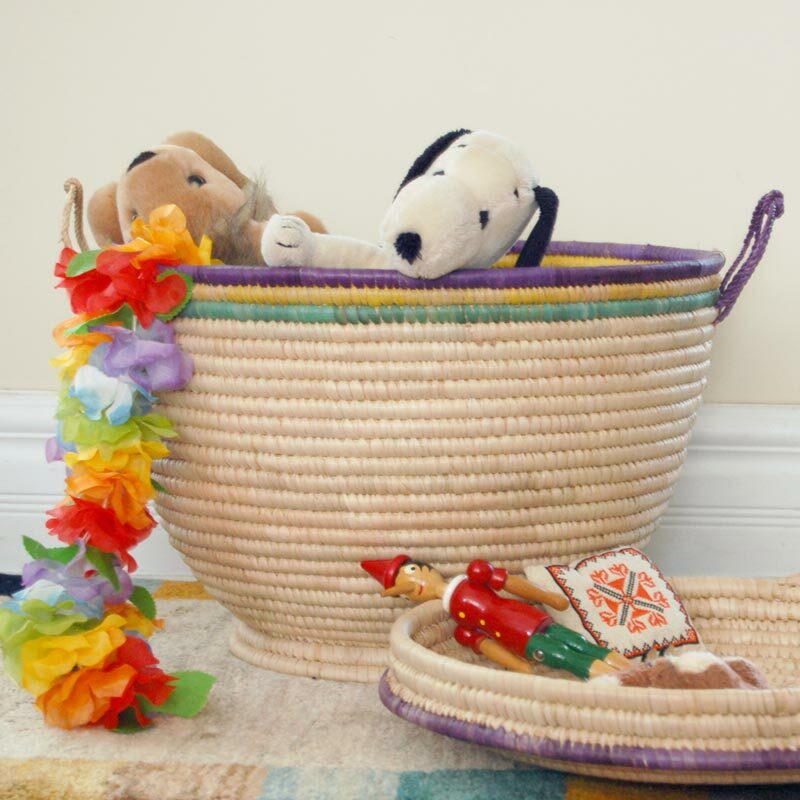 Functional and decorative in a child’s room. 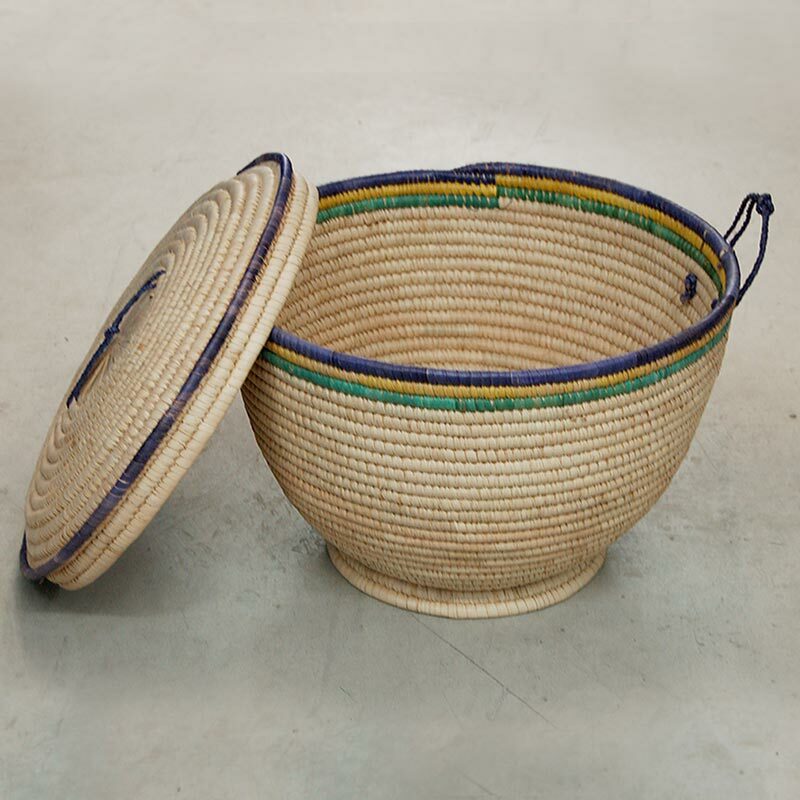 Strong natural fiber lidded toy storage basket.